There’s something simple and welcoming about a country house on the side of the road with a pleasant flower garden blooming beside of it. It feels inviting and calming, like a deep mountain breath to soothe and relax from the inside out. There’s something simple and welcoming about a country house on the side of the road with a pleasant flower garden blooming beside of it. It feels inviting and calming, like a deep mountain breath to soothe and relax from the inside out. Granted, other home styles can come with their own perks—like the awe that a Victorian house can cause or the sophistication that a modern approach could embody. But the benefits of those other styles won’t take away from the homecoming sensation that can be sparked from a country home. In order to construct one of those homes for yourself, the question of what makes a home reflect that style should be addressed—unless, of course, you want to create a mismatch of elements that don’t quite do any one type of architectural concept justice. If that’s your goal, feel free to think well outside of the home-style box, but if your desired home is one of those simple, welcoming country houses, you might want to keep these basic traits of the style in mind while constructing your plans. 1. Make sure you have plenty of yard. Before you get to the house, your yard can increase the country feel of your home, and not only because you’ll need to have enough room to fit the house on your land. Even if you decide on a small house, a large yard can still be a relevant detail to the country theme. Unlike the nearly side-to-side approach of homes that you could see in cities, country homes are often surrounded by open spaces of grass and plant life where children can run and play, barbecues and picnics can happen, and a garden or two can be constructed. A country motif can be linked with the outdoors and enjoying life, so be sure you have the yard space to allow for that kind of delightful chaos! 2. Have a big front porch. This is another step to build your country theme beyond the interior of the home since a large porch is a perfect place to sit and chat, watching children play in the yard and enjoying a cool breeze. Given that sitting-and-chatting aspect, make sure your front porch is sizeable enough to fit a decent amount of porch furniture—and maybe a porch swing. If you can work in a porch that wraps around a corner of the house, even better! That wrap-around quality provides space for your outdoor activities, and it adds an embracing look that mirrors the inviting aspect of a country home, like visitors are being shown the open arms that will welcome them inside. 3. Build a kitchen befitting the style. Country homes can inspire thoughts of apple pies baking and homemade meals being whipped up in a welcoming kitchen. If you want to showcase that element of the country approach, be sure your kitchen is consistent with those ideas. If it’s understood that plenty of cooking will happen there, make room for every ingredient you’ll need by having a large refrigerator and lots of cabinets—maybe even a pantry that’s near the kitchen. Cooking tools and space will also be required for consistent cooking, so there should be plenty of counterspace (preferably an island as well) to put those meals together and enough storage room for a considerable collection of cooking utensils. Also, keep in mind that you might have some help putting those meals together by family and friends, so assuring that there’s enough room for a small crowd to busily travel through is a solid strategy as well. 4. Add a fireplace in the living room. While you might automatically think about big, spacious rooms in connection to country homes, the truth is that smaller homes can be as country-centered as the larger ones. Sometimes, the elements that make the home country-esque are the smaller details within each room. For the living room, a primary aspect that you might want to consider is a firing place that your family can gather around on a cold day—one that Santa Claus can use to deliver toys on Christmas Eve. Both of these elements are family-linked, which is one of the cornerstones of a simple, country life: family. That idea has already been established in the earlier features of a country home—spending time with them outside and cooking with (and for) them in the kitchen. The warmness that comes with building memories with those at the core of your heart is priceless, and giving yourself the opportunities for those moments are fundamental details for your country house. Whether your living room is large, small, or mid-sized, make sure you have that fireplace for memory-building. 5. Use hardwood for your floors. Even though there are plenty of alternatives for covering your floors, the truth is that few to no possibilities bring the country feel to the equation quite like hardwood. The reason for that can be its commonality—remember that country homes can be simple instead of overdone—but also because of its natural look. The notion of country living includes ideas like mountains, streams, and towering trees, so adding something that embraces a natural concept like wood into your house makes sense. It’s like you’re walking across nature as you wander through the house, and what could be more country than that? It’s also a very basic look that allows for easy coordination with your interior décor, and that concept feels country as well. There’s no need to renovate to change your décor theme. Your floor is ready for anything with little fuss! 6. Plan lots of windows. More than once, the outside world has been discussed in this series of tips, and it’s coming into play yet again. Since the country theme can be connected with the outdoors, letting a bit of that outdoor charm shine into your home in various spots is a good way to accomplish your task. A large picture window in your living room specifically embraces a country notion, and it’s a great spot to put a Christmas tree for the outside world to view. If handled correctly, you can’t necessarily go wrong with a big picture window! It’s also worth noting that windows come with basic geometric patterns, and that simplicity of structure once more brings a down-to-earth, back-to-basics feel into your home plans. Keep that geometric quality in mind as you plan the exterior look of your home and the thresholds going from room to room. Rounded arches and towering pinnacles are for other styles. 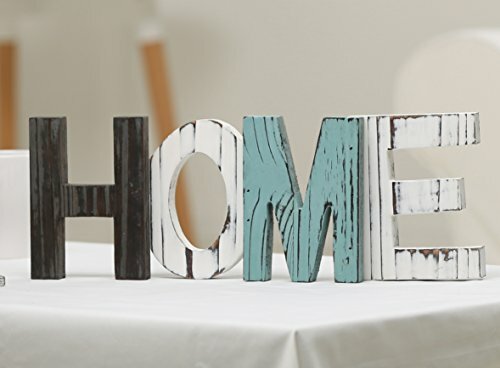 Keep this country home’s form basic! 7. Have two levels, but keep that staircase simple. This is negotiable if you don’t have the funds or the need for a second story, but if it’s a sensible option, run with it! Remember, though, that simple can be the best approach when designing a country house, so try not to be too elaborate with the look of your staircase. A fancy Victorian one or a circular one that winds round and round would look out of place in the home that’s being discussed, so try to come up with something less complicated. Using a wooden texture that’s complemented by a neutral tone like white is a good blend for the coloring, but even the structure of the staircase can be fitted to embrace the right level of simplicity. Sure, that staircase can have a bend or two, but keep them basic by sticking with the typical right-angle system—no rounded turns! 8. Use earthy tones. Now that you have so much of your home’s physical structure planned out, it might be time to start thinking about décor. Remember what was already mentioned about color neutrality and easy redecorating, and be sure to keep the bigger things—like trim and door style—basic enough to allow just about anything to match. Even in regard to the most intricate aspects of décor, earthy tones can fit the style better than brighter ones because they embrace things that reflect the earth and outdoors, which we’ve established as a significant detail in country lives and home styles. Showcase that appreciation of the outdoor life in every room of your home by choosing the same colors as nature itself. If you apply all of these details to your house plans, you could end up with a home that’s beautiful, welcoming, and so very country!